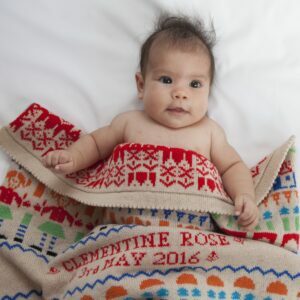 New to Charlotte’s range of luxurious cashmere baby blankets are two vibrant and colourful blankets. 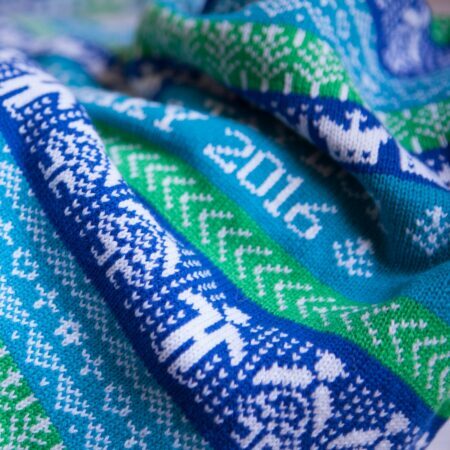 The new blankets are knitted in emerald green, royal blue and deep turquoise. This makes a break from the traditional baby pink and baby blue, so perfect if you are looking for something a little different! 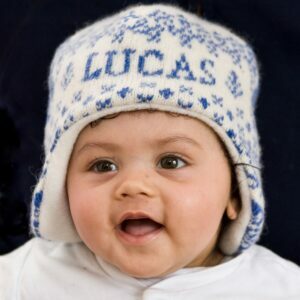 They are knitted to order with baby’s names and date of birth, so make a lovely personalised gift for a new baby. The cashmere used to make the blankets is the same high quality cashmere that Charlotte uses for all her cashmere blankets and comforters. Sourced from a family-run mill in Yorkshire, where they have been spinning yarn for over 200 years, it is beautifully soft and washes well. 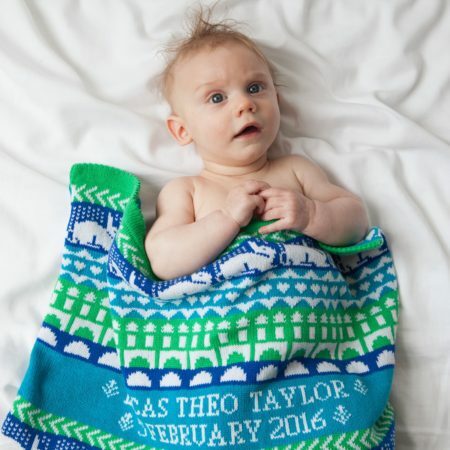 These colourful cashmere baby blankets are available in two designs: Greenwich and Hampton. 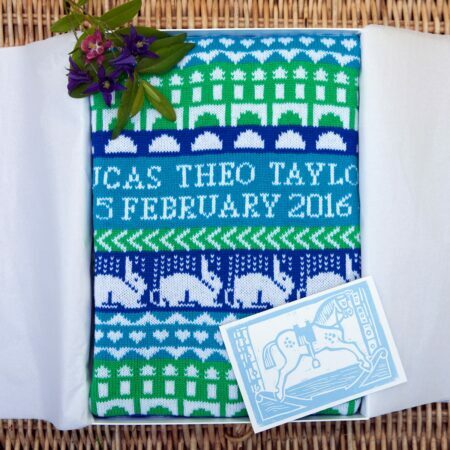 Both are knitted in a fair isle style with a complimentary geometric pattern on the reverse. The Greenwich blanket features rows of people and crowns, while the Hampton blanket features rows of rabbits and building blocks. 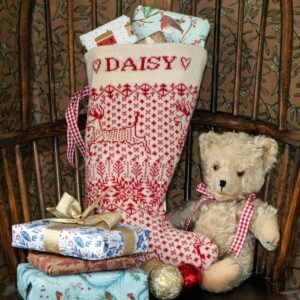 Each blanket is individually made to order, and takes around two weeks to make. Your blanket will arrive wrapped in tissue in a solid white presentation box, ready to give to the special new arrival! You can find all Charlotte’s beautiful cashmere blankets and baby comforters on the Charlotte Cot Blankets website here.